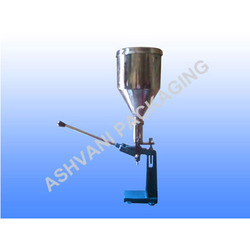 We offer Manual Tube Filling & Crimping Machine to our esteemed clients. Moreover, our range of machine is suitable for aluminum / plastic / lami tubes of 5 gms. to 150 gms. Further, our range of sealing machines is suitable for folding the aluminum tubes by hand. Available in various specifications, these can also be custom made as per the clients’ specific requirements. Further, we offer these at the market leading prices. Best tube sealing machine in India. 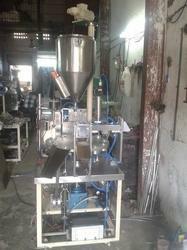 Tube sealing machine manufacturer Mumbai. 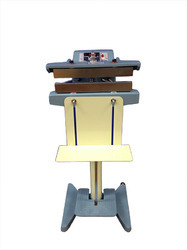 Pioneers in the industry, we are offering an excellent quality Foot Direct Heat Sealing Machine. Suitable for 1/2kg to 25 kg pouch high quality of sealing, the offered heat sealing machine is designed using top quality raw material and modern technology under the guidance of our skilled professionals. 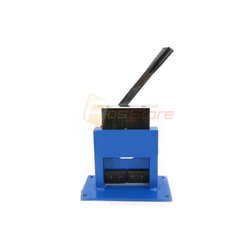 The offered heat sealing machine is provided in several specifications as per the requirements of customers. 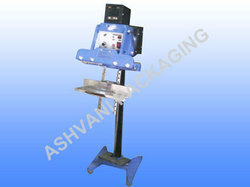 Moreover, our clients can avail the offered heat sealing machine from us at nominal rates. We are actively engaged in manufacturing, trading, distributing, retailing, importing and supplying a high quality Plastic Tube Sealing Machine. This tube sealing machine is specifically designed using high grade material and leading techniques. To meet the various needs of our customers, the offered tube sealing machine is availed in different specifications. Additionally, customers can avail the offered tube sealing machine is inspected on numerous parameters to deliver a flawless range. This machine are tube sealing machine suitable for bag sealing machine and machine sealing of Colgate tupe. All type of Plastic bag you can seal that machine. Digital temperature control are maintain the power supply and all the operating system are very easy. • Foot operated / manually operated. Automatic Tube Filling and sealing machine. 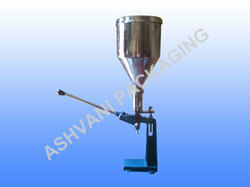 Single head twelve station tube filling sealing and Bach coding SS plain hopper for 25 kg capacity. Function mechanical Filling Station and Ointment part 316Q Volume tracks for fine adjustment And weight accuracy. Aluminium rotating disc with interchangeable tube holding sockets for different tube sizes. ELECTRICAL :- 1 Hp Motor, 415V, 1440 Rpm, 3 Phases, AC Motor Gearbox 30:1 Ratio Electrical Panel No Tube No Fill Festo Make Cylinder. Looking for Tube Sealing Machine ?